Welcome Home! Perfect place to start and raise a family, close to parks and schools. This 2606 sf "Spencer" model boasts 4 beds, 2.5 baths, Wide plank eng. hardwood, potlights, custom fireplace, custom kitchen with Ceasar Stone tops, over sized island and high end appliances. Massive windows with custom shutters and drapes. The living space doesn't end at the back door! 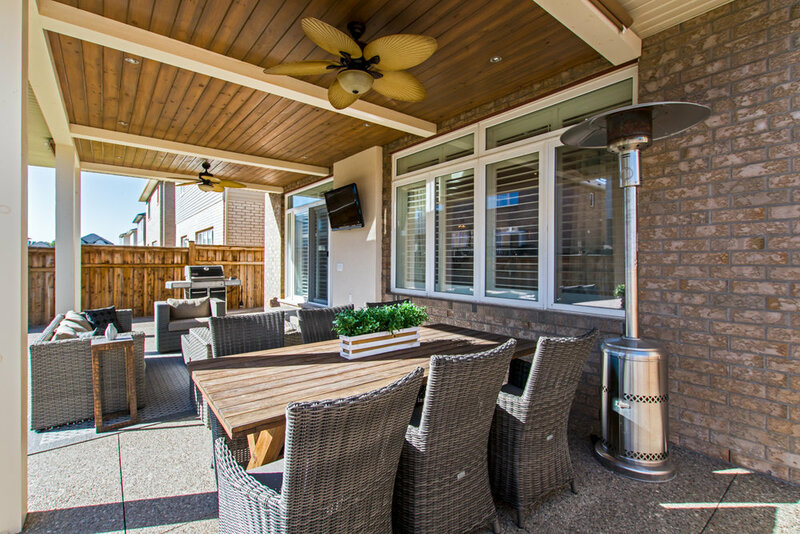 Enjoy the fully covered rear patio perfect for entertaining! Move in ready! A must SEE! Room sizes approx.